The Saint Thomas Aquinas High School Cross Country boys and girls teams are led by head coach Miguel Becerra. 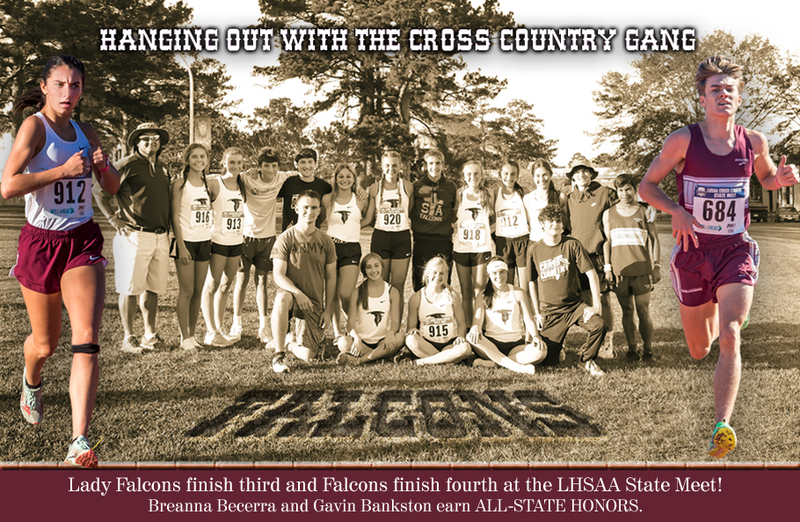 The Lady Falcons won back-to-back State 2A State Championships in 2008 and 2009 and again in 2015. The school colors are Burgundy and Grey. ©2006-2019 Supporting Saint Thomas Aquinas Athletics • Sponsored by Bonideé Photography & Design • ALL RIGHTS RESERVED. This website does not officially represent Saint Thomas Aquinas Regional High School and is for entertainment purposes only.